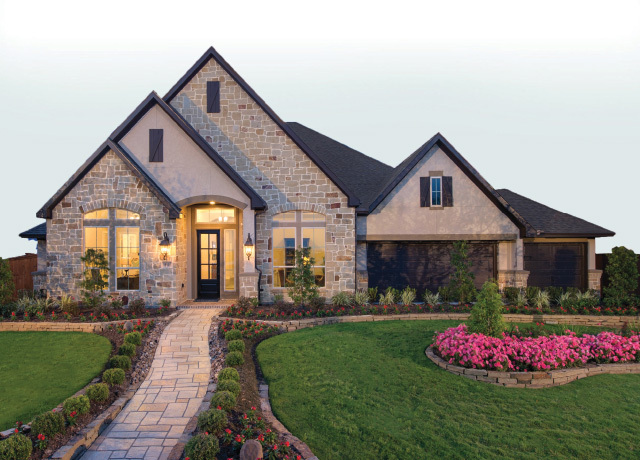 1½-story floor plan features an elegant oval entry with tile floor and 13-foot ceilings that open to the formal living room. The extended entry with a 12-foot ceiling is flanked by formal dining room on one side and kitchen with tile floor on the opposite side. 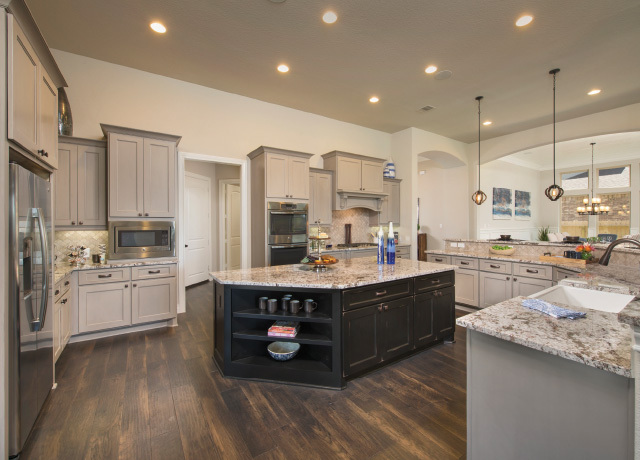 The kitchen is central to the home and open to the dining room, breakfast room and family room and also features a large island, granite countertops and 42-inch raised panel cabinets. 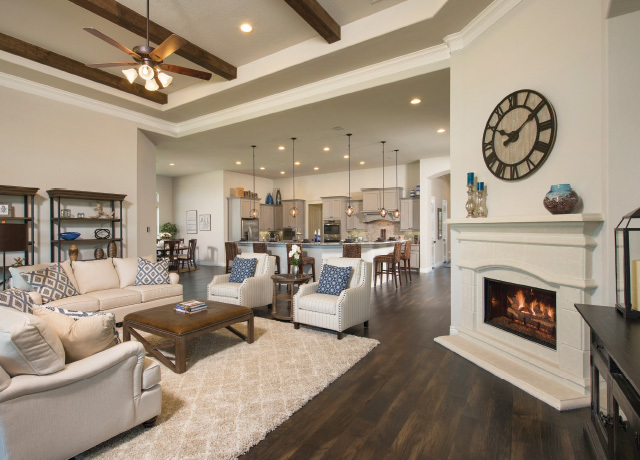 The family room features a 14-foot tray ceiling, fireplace and large wall of windows. 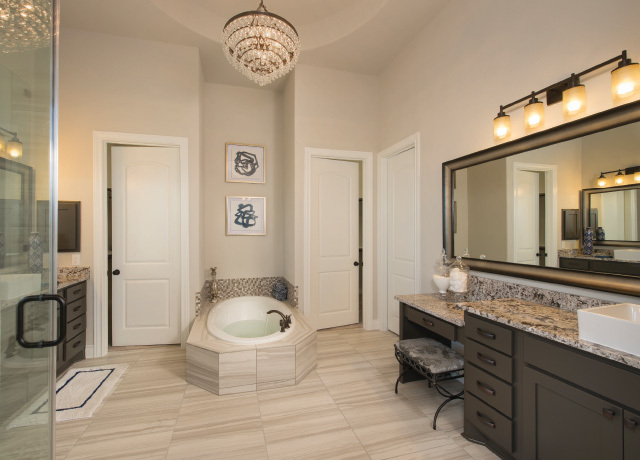 Master bath includes a 6-foot garden tub, separate shower and His and Hers vanities. Located upstairs is a game room, media room and ½ bath.